Does Champagne aged in a bottle taste different to Champagne aged in a magnum? And if so, why? If you want the answers to these questions, grab yourself a ticket to the standout Champagne event of the year - an exciting opportunity to experience how thirteen prestige cuv�e Champagnes have aged in bottle vs. magnum or jeroboam. Something happens to Champagne aged in magnum; their evolution slows, factors come into play that we can't always explain and it's like a little magic is sprinkled: what was a superbly rich Champagne in bottle, seems even more rich and complex in magnum - they are differently amazing. 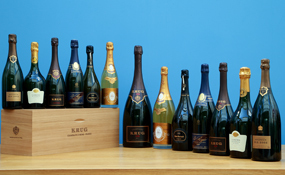 Add to the mix three now very rare and excellent vintages of Champagne, 1996, 1998 and 2002, and this event is truly one of a kind. 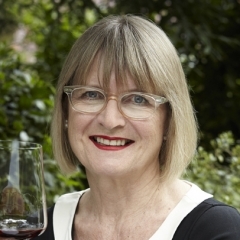 Fittingly, along with these world-class prestige cuv�e Champagnes, we have the world's leading wine critic Jancis Robinson MW presenting this event and she will be talking guests through what promises to be a fantastic discovery. The Champagnes will of course be blind tasted in their pairs, allowing for an objective comparison. This is The Champagne Event of the year and one not to be missed. Jancis comments �In 40 years of writing about wine I can�t remember a similar exercise so I�m really looking forward to it � especially as champagne in magnum is conventionally so revered. The chance to put the theory that champagne ages best in magnums to the test is what really excites me about this tasting.� Read more of what she has to say about it here. Places are limited to 48 people, order tickets early to avoid disappointment. Ticket price includes a copy of The Oxford Companion To Wine 4th Edition which Jancis will be happy to sign at the event. Jancis Robinson MW - Described by Decanter magazine as �the most respected wine critic and journalist in the world�, Jancis Robinson writes daily for JancisRobinson.com (voted first-ever Wine Website of the Year in the Louis Roederer International Wine Writers Awards 2010), weekly for The Financial Times, and bi-monthly for a column that is syndicated around the world. She is also editor of The Oxford Companion to Wine, co-author with Hugh Johnson of The World Atlas of Wine and co-author of Wine Grapes, each of these books recognised as a standard reference worldwide. 67 Pall Mall - Founded by wine lovers, for wine lovers, 67 Pall Mall is a unique private members' club. In the heart of historic St James's, Sir Edwin Lutyens' magnificent building is being transformed into a luxurious, convivial and welcoming clubhouse. Here, members will be able to enjoy access to some of the finest and rarest wines in the world, direct from the Club's extensive cellars. 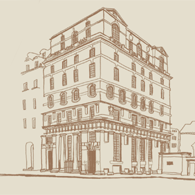 The founders' disappointment at being unable to enjoy fine wine at sensible prices is what originally prompted the development of 67 Pall Mall and the goal is to encourage members to pull the cork and discover a new wine as and when they wish. Having already attracted 1,000 members, it's opening in October promises a new era for the world of wine in London and we are thrilled to be hosting our Bottle vs Magnum tasting here. 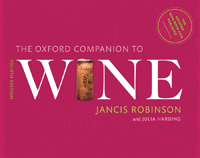 Jancis Robinson�s legendary Oxford Companion to Wine is a winning combination of meticulously- researched fact with refreshing opinion and wit. Its 4,000 entries cover every wine-related topic imaginable, from regions and grape varieties to the owners, connoisseurs, growers, and tasters in wine through the ages; from viticulture and oenology to the history of wine, from its origins to the present day. Read Financial Times' How To Spend It's description of the event here.